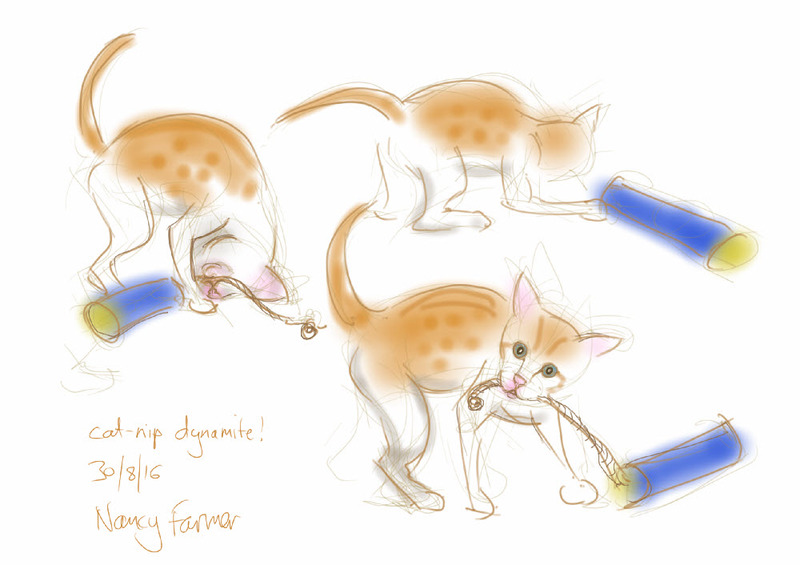 Wormy is still around, but currently in favour is Catnip Dynamite, a highly bitable stuffed cloth cylinder attached to a rope with a bell on the end. It is the best thing ever for dragging up and down my studio floor at high speed and then biting. The way to get the better of it is apparently to go into attack mode whilst at the same time attempting to stand one’s head. This catches it out every time. 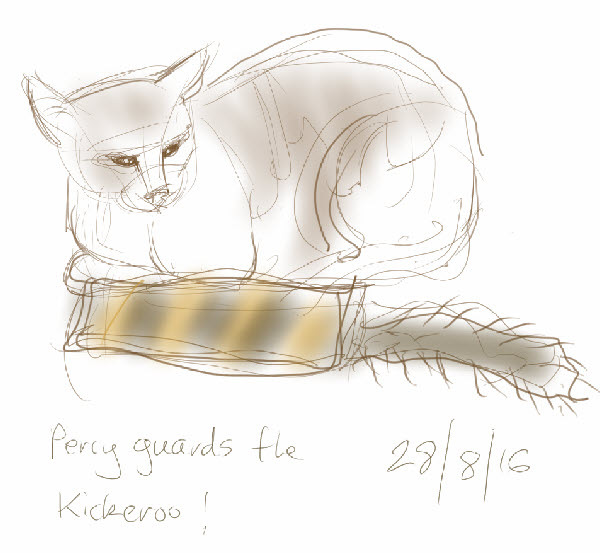 Meanwhile the Kickeroo (bought for Sergeant Stripes by Tony who had clearly forgotten the Sergeant’s diminutive stature) has become definitely and firmly Percy’s, and he is guarding it. He attacks it with enthusiasm on a nightly basis. It looks a bit like Arthur, but that is only coincidence. Probably. This entry was posted in Cats and tagged art, cat-of-the-day, illustration, Percy Cat, Sergeant Stripes, sketch on August 30, 2016 by Nancy Farmer.